Wills - Laceys Solicitors Laceys is a leading, forward-thinking law firm with specialist experts serving both individual and business clients across a broad spectrum of practice areas. 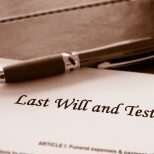 People often make incorrect assumptions about what will happen to their Estate if they die without a Will and don’t necessarily appreciate how some of the stress of dealing with the death of a loved one can be alleviated if there is a well drafted Will in place. The prospect of sitting down to draft a Will is, for some, a daunting prospect and, as a result, a task that is often put off. 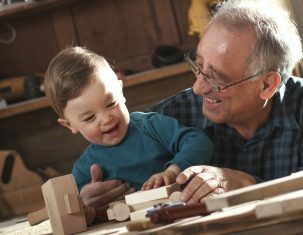 However, a properly drafted Will can ensure that your assets go to your chosen beneficiaries, that the Estate is administered by people of your choosing, that your children are looked after by people that you trust and that appropriate structures are put in place to protect beneficiaries where required. We can advise on all aspects of Will drafting to include tax planning and trusts. 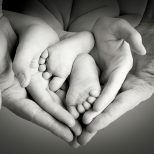 We understand that in today’s society family structures and relationships can be complex. The Will can address any issues to ensure that our clients have the comfort of knowing that after their death their family are looked after. There may be issues of a second marriage and a wish to provide security to a spouse but to protect children from a previous relationship, a vulnerable or disabled beneficiary where a trust may be appropriate, complex assets across differing jurisdictions, the possibility of mitigating the payment of tax. All such issues, and many more, can be fully discussed and the available options explained in plain English. Please contact one of our team today to see how we can help. Joe joined Laceys Solicitors in 2018 from a well-respected local firm. Joe qualified as a solicitor in 2002 training and working in the Thames Valley until she moved to Dorset in 2012. Joe is a member of the Society of Trusts and Estates Practitioners and specialises in all areas of Trust and Estate Administration, Tax Planning and in the preparation of Wills and Powers of Attorney. Joe enjoys all aspects of private client work and feels a particular sense of satisfaction when working together with a clients’ other professional advisors to provide a holistic response to life’s complex ups and downs. Outside of the office Joe enjoys spending time with her family, appreciating the great outdoors and trying to keep up with her husband and two young children as they investigate the magnificent Dorset coastline! Some quiet time with a book and her cats is also always very welcome! Matthew is a solicitor in Laceys Private Client team. His main areas of expertise include wills, lasting powers of attorney and administration of estates. Matthew has been working in this area of law since he qualified and has assisted a large number of clients. 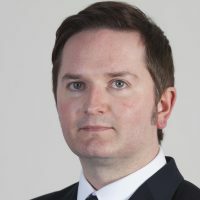 Matthew qualified as a solicitor in 2012. He completed his Law Degree at the University of Sussex and the Legal Practice Course at Bournemouth University. Matthew completed his training contract at Morris Scott and Co. (now Kiteleys Solicitors) and also worked at Aldridge Brownlee Solicitors LLP before joining Laceys in September 2017. Matthew prides himself on his approachable nature and enjoys assisting and supporting clients experiencing difficult circumstances following the death of a loved one. Out of the office, Matthew enjoys spending time with his wife and two young sons. He is a big AFC Bournemouth fan having held a season ticket at Dean Court for many seasons. Thomas is a Solicitor in our Private Client Department and specialises in Wills, Powers of Attorney and the Administration of Estates. He enjoys meeting and getting to know his clients and adopts a friendly, relaxed approach recognising that the areas for discussion are often difficult for clients. 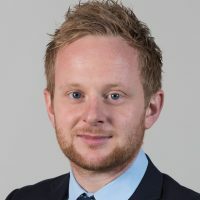 Thomas has been at Laceys since joining as a Trainee Solicitor in 2017 following the completion of both his Law Degree and Legal Practice Course at Bournemouth University. Thomas has a passion for sports, in particular playing tennis (but unfortunately is no relation to Sir Andy!). He is also heavily involved in the local legal community and is the Treasurer of the Bournemouth & District Junior Lawyers Division. Thomas also enjoys socialising with friends and family and is making the most of his free time before becoming a daddy for the first time later this year! A Partner in the Private Client Department and a Notary Public, Simon was head of the Private Client Department in Horsey Lightly Fynn which merged with Laceys in December 2015. Simon deals with a complete range of Private Client matters, including Wills, Trusts, Tax Planning, Trusts and Estates Planning, Administration of Estates, Court of Protection, Charities, Probate Disputes and Agricultural matters. 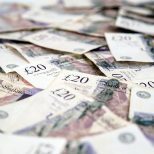 Specific areas of interest are issues affecting succession in family businesses and farming in particular, the incorporation and governance of Charities and dealing with disputes relating to Wills and contested estates. He qualified as a solicitor in London in 1975 after gaining an LLB from Southampton University, and subsequently qualified as a Notary Public in 1988. Simon is a member of the Charity Law Association, the Notaries Society and the Society of Trust and Estates Practitioners. When not working he plays tennis, and enjoys walking on the Jurassic Coast and (not often enough) playing golf. Natasha is the Partner in charge of our Parkstone Branch and specialises in Wills and Probate and Lasting Powers of Attorney. Natasha joined Laceys in 1999 as a Trainee Solicitor and qualified in 2001, she has been working in her specialised area since her second year as a Trainee and has therefore acquired a very in depth knowledge of this area. 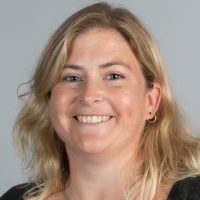 Natasha has a Law degree from the University of Hertfordshire and her route to qualify as a Solicitor was through the Legal Practice course which she did locally at Bournemouth University. In addition to this she has completed several professional development courses in her field. Before starting at Laceys, Natasha worked in the Legal department at Bournemouth Borough Council and prior to that gained experience in dealing with elderly client matters having been a financial officer for the Council, dealing with financial applications for residential care and during her holidays whilst studying Law at university she was a care assistant in care homes and also a home help in the community. One of her specialisms is making use of Trusts in Wills for couples to shelter assets from residential care fees or to ensure that children from a first marriage are guaranteed to inherit from their parents Estate should mum or dad die and want to benefit their new spouse under the terms of their Will. Away from work Natasha enjoys taking her wheaten terrier Ruby on long walks by the sea and spending time with friends and family. Lee is an Associate Solicitor in our Private Client department and advises clients in relation to Will drafting, Administration of Estates, Trusts and Estate Planning, and Powers of Attorney. Lee is an Affiliate Member of the Society of Trust and Estate Practitioners (STEP) and he has been awarded Advanced Certificates in the Administration of Estates and in the Administration of Trusts. Outside of work Lee’s interests include cricket, kayaking, natural history and photography. You can’t predict the future but you can plan for it. Kate is head of our Private Client Team and has 25 years’ experience in private client work, specialising in wills, tax planning and estate administration. Kate has worked in this area since she qualified and has assisted thousands of families and individuals. Kate qualified as a solicitor in 1995 after obtaining a 2.1 in Law from the University of Kent. She completed her training contract with Laceys and became a partner in 2002. Kate is a full member of the Society of Estate and Trust Practitioners (STEP) and sat on the STEP committee for 6 years. She has also taught on the Legal Executives course at Bournemouth & Poole College. Kate enjoys the personal side of the work and the satisfaction of assisting the bereaved and families with complex affairs, whether it be complex financial aspects or those where a diplomatic hand is required. She prides herself on being able to explain the legal position in plain English. Out of the office she enjoys keeping fit. She enjoys going to the gym, has recently acquired a new road bike and is kept busy with an active Hungarian Vizsla. Cooking, particularly baking, is also a passion. Beverley is part of Laceys Private Client team, specialising in will preparation, lasting powers of attorney and administration of estates for probate. Beverley enjoys the personal aspect of her work, helping people overcome bereavement and making the best out of often difficult, emotional circumstances. She deals with clients from all walks of life, and remains down to earth at all times, removing the legal jargon so clients understand their situations. Having recently had a baby, Beverley has very little spare time, but she is still a fan of F1 Racing and retains her love of shopping, films and holidays in the sun! Deborah is a Chartered Legal Executive who has worked in the Private Client department at Laceys for over 18 years. Deborahs journey to Laceys started in 1985 when she qualified as a FILEX. She then undertook her Associateship in Taunton and completed her Fellowship in Poole. 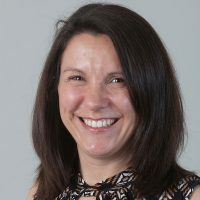 Aside from a couple of years in Gibraltar, Deborah then gained valuable experience working for various local firms in their private client departments before joining Laceys in 2000. 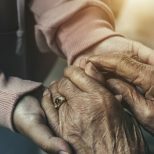 She specialises in all areas of private client work, wills, powers of attorney, tax planning, Court of Protection, administration of estates, NHS Continuing Care, welfare benefits and all issues related to the elderly and infirm. She finds this area of law quite holistic – it is not just a matter of applying rules and regulations but organising a client’s affairs in such a way that they are made easier and clearer during what can be a very emotional and upsetting time. Her work requires a very good and patient listening ear, bedside manner and sometimes a sense of humour but still achieving the client’s objectives on time. When time permits she enjoys reading, cooking and relaxing by the Christchurch River but only when the sun shines! Travelling is a great hobby but there is never enough time to visit all.She has four stepchildren, four grandchildren plus a nephew and niece who help keep her busy at home! 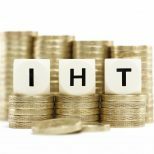 Inheritance Tax – the importance of proper valuations.